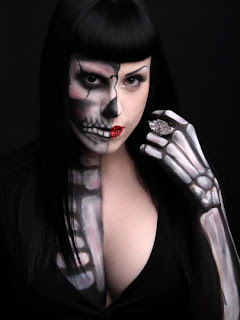 KAT VON PIRE | Make-Up Artist: Make Up For Ever Must Haves! This past weekend I spent two days in a Toronto Sephora as a guest artist for Make Up For Ever. 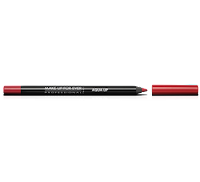 We were celebrating the launch of MUFE's new Aqua Shadow jumbo waterproof eye shadow pencils. I was there to show off these fab pencils, help gals get gorgeous while nabbing the right MUFE products for them. Make Up For Ever is easily one of my favourite make-up brands, so much so that I started working with them a couple years ago, lending myself to special events, product launches, fashion shows and the like. So since I spent the weekend immersed in MUFE and singing it's praises, I thought I'd highlight some of their products that I can't live without and will always be found in my make-up kit. 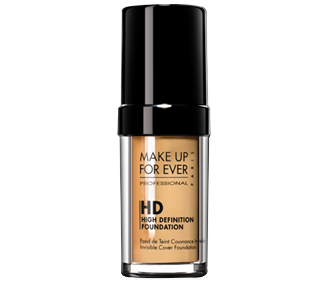 HD FOUNDATION: My go-to foundation for everything from film work to photography to weddings. While it's not the only foundation brand I stock in my kit, it's the one I use most often and even wear myself (I'm #115!). 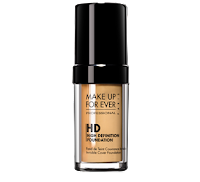 It's oil-free with buildable medium to full coverage, and a great natural finish. I've found it to work amazing on just about every skin type and colour I've encountered, and comes in 26 shades from the palest of the pale to the darkest of the dark. HD ELIXIR: This has saved me so many times on set! A perfect quick fix for any actor or model with extremely dry skin. I've often encountered peeling & flakey skin due to sunburns or acne medication, dry aging skin with fine lines, and lots of people who don't bother with proper skincare or moisturizing. 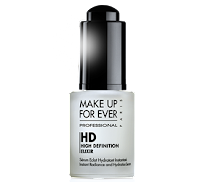 Putting make-up on top of these skin issues just leads to dry and obvious looking make-up, but the HD Elixir will instantly rehydrate the skin and allow for a more flawless make-up application. MAT BRONZE: One of the best bronzers out there! Comes in 4 shades and is perfect for film & TV work, as it does not contain shimmer or sparkles! Many bronzing powders have shimmer, which just won't work in most on-camera situations. The shimmer can make an actor or model look shiny and sweaty, and for obvious reasons can't be used on men. 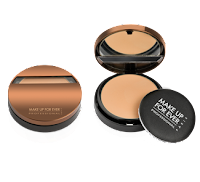 Mat Bronze is great as a sculpting powder for men and women, to give a natural sun kissed look, to warm up pale complexions and necks. 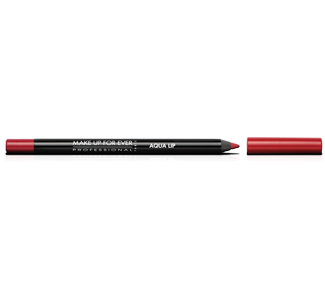 AQUA LIP: The best red lip pencil is Aqua Lip #8C. There's one in my kit, one in my purse and one in my bathroom. Use alone as a waterproof matte red lip colour or use as liner with your favourite true red lipstick. Long lasting, with incredible colour payoff. The other shades aren't too shabby either. AQUA EYES: Like the Aqua Lip range, these are waterproof super pigmented eyeliner pencils. They come in an incredible range of colours from classic matte black, brown and white, to pink and metallic gold, 25 colours in all! The #0L black goes with me wherever I go! I could go on and on, but those are the essentials! And don't forget, Make Up For Ever has a pro discount program for make-up artists (40% off), and make-up students & actors (20% off). Visit here for more info and to join!